The following article originally ran in the July 2015 issue of National Chamber Review. Is a Brand Identity important for Chambers? What exactly is a Brand Identity? Can a Brand Identity be explained? These questions are critical to ask yourself. If you can’t accurately define it, aren’t sure how to explain it, but are pretty sure it might be important, could you even come up with Brand Identity for your organization? Good, you’re already on your way to making sure you have an established brand.The logo is a critical component. It is the foundation of a brand and gives a visual of your organization’s identity. What are the benefits, features, and unique aspects of your Chamber’s products or services? What do your members and prospective members already think of your Chamber? What qualities do you want them to associate with your Chamber? Don’t be intimidated. It’s really not as complicated as it sounds. Be honest in your answers. Authenticity is key in reaching your target market. Your members’ core values and goals should be at the forefront of your effort (for both this exercise and your overall mission, right?). A brand identity should communicate your Chamber’s promise, look, attributes, and personality. Yes, even personality. Business may be the name of the game, but don’t forget that businesses are made up of people and people inherently operate on an emotional level. Remember, your Chamber’s brand will be frequently communicated in multiple arenas. Consistency is key. 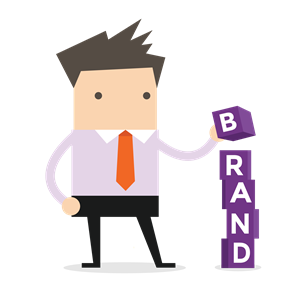 Defining brand identity creates the foundation for the rest of your marketing and brand strategy. There’s a challenge in defining your Chamber’s identity. It’s easy to emulate what others have done, and that’s always a safe bet. It worked for them. But, that’s them. Remember, personality and authenticity are key. You may think your target market is very similar to theirs, and that could be true. But similar is still different. The differences may be subtle, but they are unique. Your Chamber’s brand should be unique, too. Don’t be afraid to forge your own path. Take the first step in tackling your revenue obstacles. Access our free guide: Using Technology to Streamline Non-Dues Revenue right now.